Huge Frozen Beef Recall: U.S.
All products affected have the USDA establishment number EST 9748 that you can locate on the back of the package or in the USDA legend. The Topps Meat Co. LLC has went out of business due to this effective immediately. Questions? Call the company’s recall line at 888-734-0451. 2-pound boxes of “TOPPS SIRLOIN STEAK BURGERS WITH FIRE-ROASTED ONIONS, 6 1/3 LB. One of my favorite home bloggers, Maricar at Keeping the Castle, alerted her readers to this important recall for Castleberry’s canned food items. This is a very serious recall if you’re a Canadian reader. So look over the list here and check Castleberry’s site for updates. 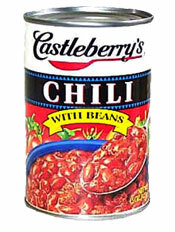 FDA investigators believe Castleberry Food failed to properly cook some or all the products, allowing the Clostridium botulinum bacteria to survive the canning process. The bacteria produce a toxin that causes botulism, a muscle-paralyzing disease. “We’re not talking here about a bug that lands you in the bathroom for a few days with diarrhea. We’re talking about a toxin that puts you in the intensive care unit,�? said Dr. David Acheson, the FDA’s lead food safety expert. “This is foodborne illness with an extra kick in it, big time.�? Check your cupboards as some cans have been reported to burst open. You can learn safe disposal methods and how to get a refund here. You are currently browsing the archives for the Recall Information category.